Protecting Input: Implement Whitelists – Interstell, Inc.
We all know how important it is to keep malicious content from getting into our websites. Many of the most common attacks the Open Web Application Security Project (OWASP) lists, like Injection, Cross-site Scripting, or Unvalidated Redirects and Forwards, are only possible if the application doesn’t disallow bad content. There’s more than one way to accomplish this, and I’ll present several over the next few blog posts. We’ll start with what sounds like the easiest: whitelists. 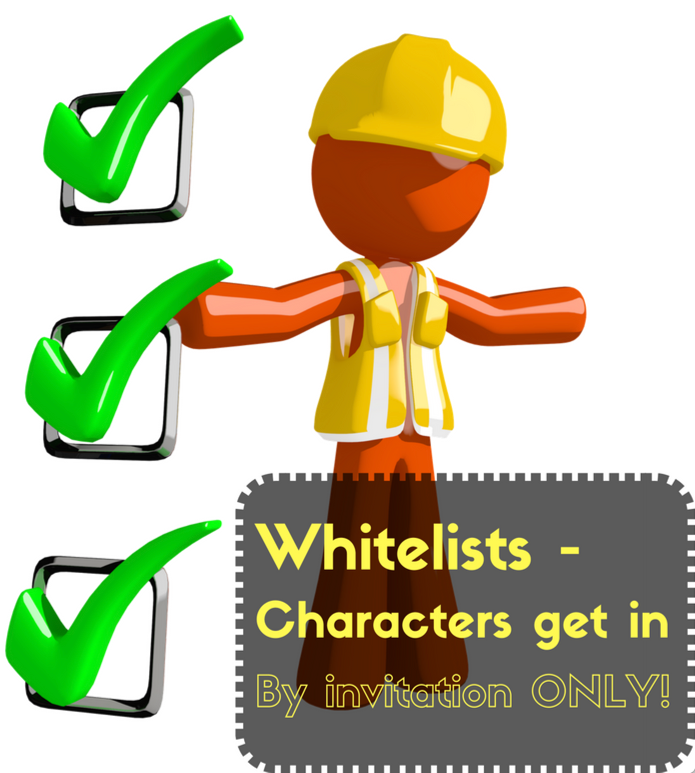 Implementing a whitelist means only allowing characters, or combinations of characters, that you know are safe. Sounds easy, right? It can be — if your application’s scope allows it! Use whitelists to completely control what characters get through your UI — and into your application. Implementing a whitelist for this kind of application would be pretty easy. Just make sure numeric fields only have 0-9, a period, or a comma. Make sure that strings only have A-Z, a-z, or a space. Before you discount this kind of application as being too simplistic for the real world, consider: there are a lot of financial applications out there, and they need protecting, too. On the other hand, let’s say you’re writing an application that allows people to comment using some basic HTML and more robust strings. For example, you want to allow non-destructive HTML tags (like <b> to start bolding) and you want to allow contractions, possessives, and quotes (like apostrophes and double quotes). At first glance, you might be tempted to just add those character (<, >, ‘, and “) to the whitelist. Hyperbole aside, those characters can be very dangerous in the wrong combination. In this case, a whitelist alone can’t protect you. But a whitelist can still be part of the protection for this kind of application. I’ll go into more detail in future posts. For now, let’s take a look at a basic whitelist. There’s an easy and very common way to implement a whitelist, and then there’s my paranoid way of implementing one. Can you guess which way I’m going to show you? Before I subject you to my paranoia, let me get one thing out of the way. Client side validation is a valuable intrusion detection technique for defense as well. If you do both client side and server side validation, then how many server side validation errors should you get? None. And if you do, you’re under attack or someone is using an interceptor to mess with your app. Early intel on attacks is your friend. Simple, elegant, and brilliant. In short, genius! I’ve adopted this as my approach. It might seem shocking (it seemed to so me! 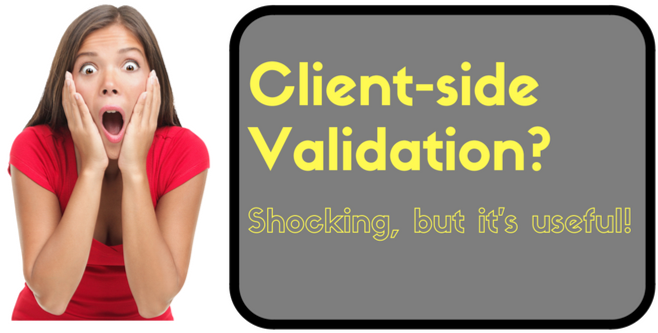 ), but client-side validation can actually serve a legitimate security purpose! I admit that this works in every situation I’ve seen. It works in PHP and it works in Java. It’s widely accepted as a valid, secure approach. In ancient days, Paleolithic developers worried about attacks called buffer overflows. I’m being facetious, because these attacks are still a danger today (and no modern languages existed in the Paleolithic), but consider: these attacks work because the size of the input exceeds the runtime’s ability to manage it. In other words, taking the input and trying to compare it to a regex expression could trigger the vulnerability. Java is highly resistant to this kind of assault. Many modern languages have counter measures. But I ask myself, why take the chance, when there’s a safe way to avoid it? Why compare the whole input string to a regex expression? Why not compare the input string one character at a time to a whitelist? It’s safer, because I know of no way a single character can trigger an exploit. Of course, the act of bringing the input into the code at all could trigger the exploit, which is why it’s important to control POST/PUT sizes. But I think it’s prudent to check incoming data against a whitelist, one character at a time. 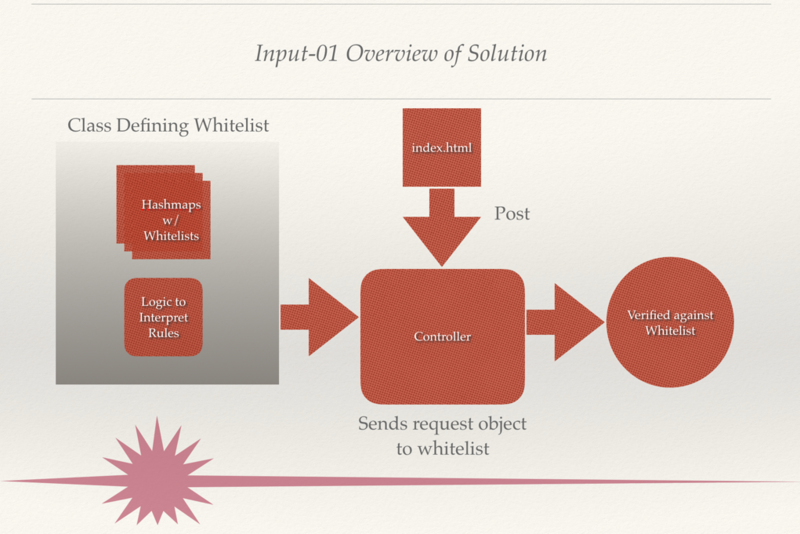 Figure 1: General overview of the whitelist solution. And here’s the code itself! The array containing a field’s definition is called arrValidation. Element 2 contains the list of whitelist characters. The for loop pulls the first character off the input field’s data, makes sure it’s in the whitelist, and then pulls the next character out of the string. If the loop can’t find a character in the string of allowed characters, the method returns false so that calling application knows there’s a nefarious character in the input. Notice that I don’t echo the actual illegal character to the log. Since it’s illegal, I have no idea what it is, and it could be dangerous. Yep, that’s overly paranoid, but I couldn’t think of a reason to take the risk, so I just log that there was a problem with a specific field. And yes, I know that System.out.println isn’t suitable for a live production application! I’d just the logging built into Tomcat or something like Log4j in a real application. In my next post, I’ll show you how to implement a whitelist in PHP. Be Good to Your Future Self: Log the Right Stuff!